Open to all National (Kuwaiti only) Players. The tournament will start tomorrow evening and will last no longer than a week. The number of rounds will depend on the number of players who register. 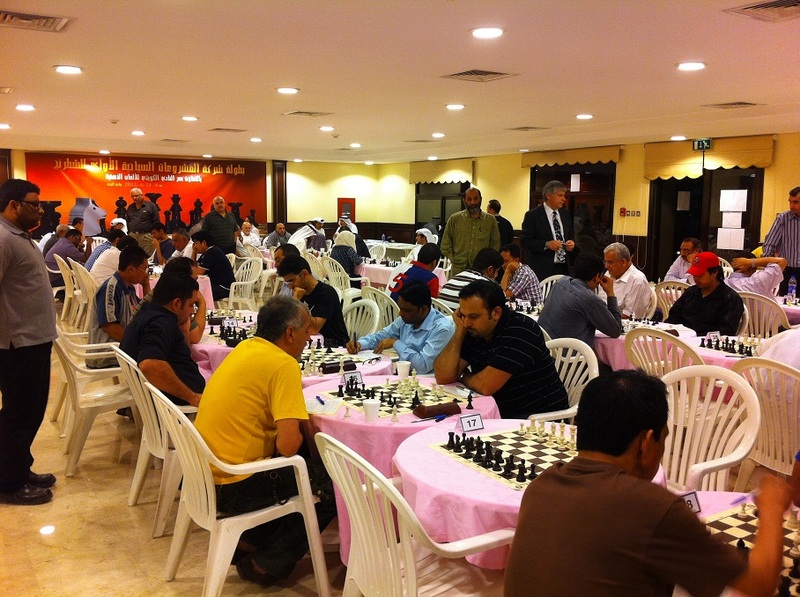 Location: The Kuwait Chess Federation, Qadsiya, Block 1, Street 10. Right next to 2nd ring road. Be at the Kuwait Chess Federation before 6:00 PM to be able to register. And the tournament STARTS TOMORROW!!! The Tournament, due to a few things, was considered a friendly and not an official qualifier. However, the official tournament will be done on July. I,omid ,from Iran Master of World chess Federation – FIDE ,and a chess trainer with a world rating of over 2400,together with my wife , with a world rating of over 2100 .we are residing in Armenia at present. we plea the state of Kuwait to agree to changing of our Federation in order that we could enter the state of Kuwait and the national team of Kuwait,also to my becoming a trainer there for promoting the level of sport chess in Kuwait. Hello Omid, Thanks for dropping by and your interest in kuwait chess. Just to let you know, this is a privately run blog. i sent an email for q8chess@gmail.com 10 last day.